admin December 21, 2018 December 21, 2018 No Comments on Ask A Vet: Why Does Cat Poop Smell So Bad? 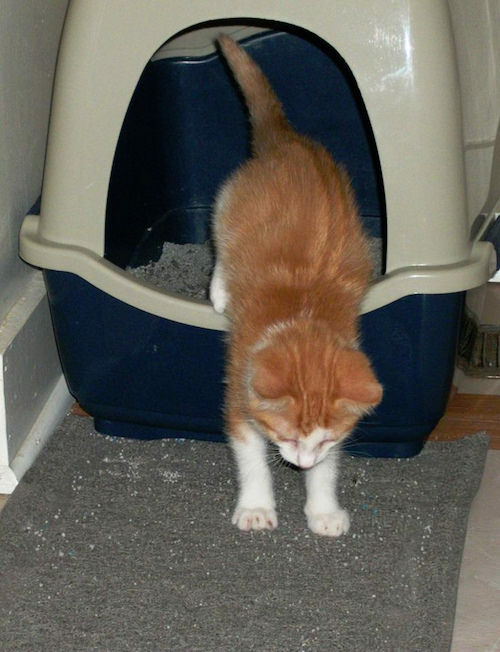 Everyone who has ever walked by a litter box containing a fresh stool deposit knows that pungent and distinctive smell. All excrement smells foul, but cat poop is recognizable and uniquely horrible. Have you ever given the stench any thought? Poop smells bad no matter what species it comes from. It stands to reason that waste would be like trash to a body, the stuff it cannot use and needs to get rid of. The organic material in our own kitchen trash cans stink too, for similar reasons. Once we have sifted through the food and taken all the usable components out, whatever is leftover becomes trash and that is what your cat’s body does to his diet. His digestive tract takes in the food, just like we unload our grocery bags as we start to organize meal preparation in our kitchen. We sort through the bags, setting out the items that are called for in our recipe. We remove the ingredients from packaging and discard it or cut away stems on our produce and throw them away. Imagine your cat’s stomach and intestines are doing a similar process. Your cat eats his meal and his body goes through the components of that meal, sorting through them and discarding the items not required by the recipe of metabolism and energy production of your cat. The bad odor can come from the components of the poop itself, as it releases ammonia, sulfur, nitrogen, and other aromatic gases. All feces contains volatile compounds that are released into the air by the stool itself as soon as it is defecated. These are dependent on the components of the diet itself. Nitrogen is a basic constituent of protein, and since cats are carnivores, they should ingest larger amounts of protein than many other animals. Bad smells can also be produced in the form of gases released as bacteria in the intestines digest the portions of the waste that they can use, even after the waste is eliminated from the body. The more time elapses after defecation, the more opportunity the bacteria have to act and produce gases as a part of their own digestion. Because cats are who they are, tiny carnivores who live (and poop) inside our homes, their foul waste is in close proximity to our noses. So it smells distinctive (get it? de-stink-tive) because of what she needs to eat and how she digests it. 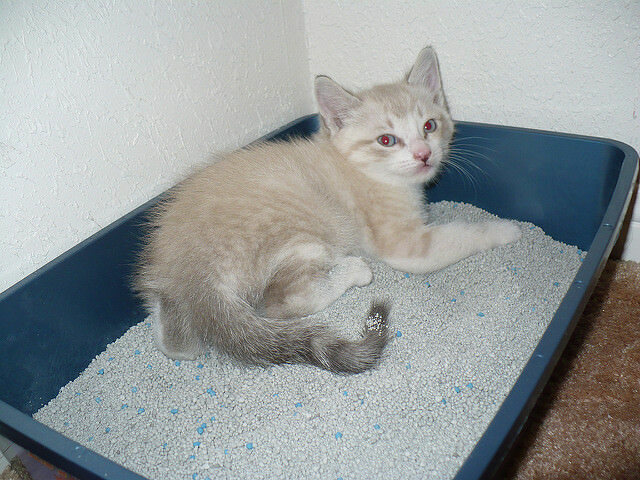 Also, because it is there in the litter box until we can remove it, the bacteria start to digest it too, further creating gases that we can smell. Double trouble! To head off litter box stench, clean out the poop while it is still fresh and the bacteria won’t have a chance to make it even stinkier. Do you love learning about cats? I love sharing about them, so find me on Facebook by clicking here.